Once, in a meeting, another noticed what was going on before I did. I later asked why. He recommended this book.I no longer lend my copy: it's getting dog-eared. But every time I did lend it, the borrower was 'forced' to buy his/her own copy.You will read, in every chapter, a story about persons interacting in an office situation. (While titles may change, fundamental personalities and pecking orders will not.) The story will unfold an interesting, somewhat odd, 'happening' in that office or business environment. Then the Professor will explain. Everything.You will learn something in every chapter. This is the most valuable book for working in a business environment that I have ever seen. "This could have saved me four years." actual comment from a reader. As someone who is trying (very hard) to enter into the workforce, I found this very entertaining, yet extremely insightful. There are A LOT of great tips in here for a broad range of people dealing with a broad range of situations.I would recommend this to anyone who is a newbie, a manager, or a CEO. READ AUG 2009A good "dramaturgy" that answers the question: How do leaders work within the culture of the organization? Best quote: "No organization functions as subordinates commonly understand it to function, and no organization could. Pretense is necessary to maintain the allegiance of the faithful--recruits, lower echelons, the public" (p. 12). 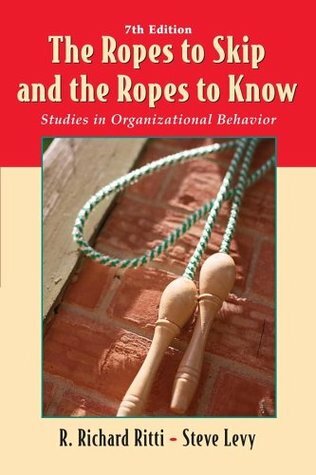 Still consider this as one of the best organizational behavior books I have read. Used it in business school at Columbia in 1981. Date below is when we read it in our book club at the suggestion of a colleague of mine to whom I had introduced it. If you have to read only one book on organizational behavior, this is the one you should read. I first read this book when I did my Masters in management, and 30 years later I still apply its lesson. An easy read filled with practical insights about how humans behave inside organizations. Great book on the rituals of corporate life. Used to give it to newly hired engineers, who expected things to make sense.